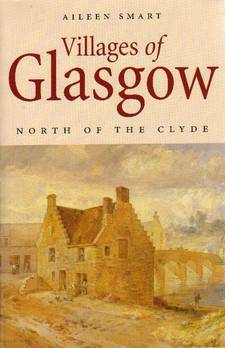 A cradle of modern shipbuilding, and classic Industrial Revolution urban sprawl, Glasgow has made its impact on the world. One of those cities that is known of in the remotest corners of the world, it projects an image of the maritime and industrial powerhouse that provided wealth and power to the Victorians. Today, shipbuilding may no longer be its reason for existence and those who do not picture it as a shipbuilding centre will picture it as a vibrant and energetic modern metropolitan city. Few will give much thought to it as a collection of villages, each with its own story of heroes and villains, myths and traditions. 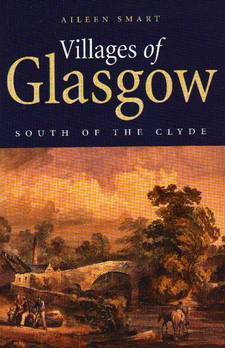 A cradle of modern shipbuilding, and classic Industrial Revolution urban sprawl, Glasgow has made its impact on the world. One of those cities that is known off in the remotest corners of the world, it projects an image of the maritime and industrial powerhouse that provided wealth and power to the Victorians. Today, shipbuilding may no longer be its reason for existence and those who do not picture it as a shipbuilding centre will picture it as a vibrant and energetic modern metropolitan city. Of the first generation jet fighters, the Venom and her naval sister the Sea Venom were an important and successful family. Just too late to serve in WWII together with the Me262 and the Meteor, the Venom was to serve in a large number of air forces over several decades, finally ending its service career in the Swiss Air Force. 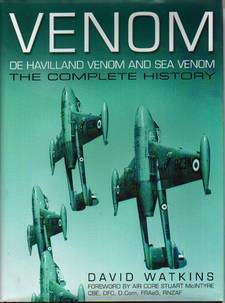 The author provides a detailed and very well illustrated history of the Venom from the first prototypes and includes comment from those who flew this important aircraft. When she first entered service with the RAF, the backbone of British airpower was still propeller-driven. Using a twin boom configuration to reduce drag and make the most of the early jet engines, the Venom proved to be a very durable design. Entering service with the FAA as the Sea Venom, alongside the turbo-propeller Wyvern, and piston-prop Sea Fury and Sky Raider aircraft, she introduced airborne radar to the naval fighter armoury for all-weather combat. This is part of a three book series covering each of the people to be awarded the Victoria Cross. 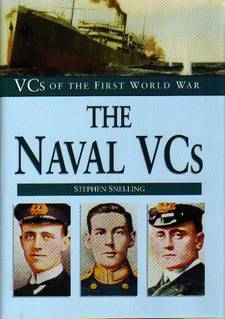 Despite the title this volume actually covers 42 of the 48 Naval recipients of the VC. The remaining 6 are covered within the books concentrating on aviators and soldiers. Interestingly, the VCs were earned in a wide range of warships from the mighty battlecruiser HMS Lion through to the Lowestoft fishing smack Nelson. Among those covered are LS William Williams who became the RN’s first posthumous recipient of the VC, Jack Cornwall the “boy hero of Jutland” who at 16 was the youngest recipient of the VC as well as the 59 year old Captain F.D. Parslow who was the oldest recipient of the VC. A vast amount of print has been devoted to Napoleon and his campaigns. Most published material concentrates on his rapid advance to Emperor of France. Rather less has been devoted to his early life, his family and his final years in exile. The result is that he dominates a period of history and many important people and events around him have been completely over shadowed by him. On a number of occasions in history, one man has emerged from humble origins as the leader of a country into which he was not born. That humble origin is airbrushed out by the individual, his supporters and historians. Hitler was not keen to see his humble origins in Austria publicised and even less enthusiastic that details of his family should become public currency. It may be that historians and supporters were prepared to do the same for Napoleon but he was a part of the family ‘firm’. A Corsican who came to lead France and to dominate Europe, Napoleon believed in the reliability of blood. His brothers play key roles during his ascent to power and in maintaining that power. From their humble beginnings, they each achieved a level of success in their own right and helped propel their famous brother to his place in history and yet they have remained almost unknown, minor footnotes and anecdotes to his history. The author set out to redress this imbalance by writing what is a family history of the Bonapartes that begins with their origins in Ajaccio, Corsica, where a monument was erected to Napoleon and his four brothers, follows the story of the brothers and then continues through the later generations. The resulting book was first published as long ago as 1909 and Nonsuch has produced a welcome reprint. The author has done more than edit the memories of John R Harris who was at the time of writing the sole survivor of the small band of prisoners who smuggled Top Secret information to the British spying operation in China during 1943. The author has interviewed more than 100 campaign veterans and internees. 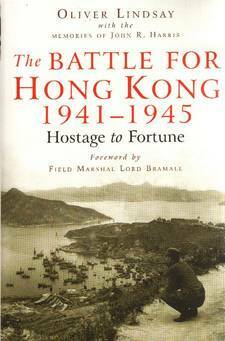 Hong Kong was always going to be difficult to defend against Japanese attack, being isolated and surrounded. The population, of all races, suffered under Japanese occupation. For Britain the main area of conflict was in Europe. For the public, the battles of the Far East were given little prominence and the British Army in India and Burma, which held the line against Japanese advance, was the Forgotten Army. It was an unfortunate necessity that Europe drew the best resources available and the priority was to defeat Germany first. That inevitably meant that the other theatres of conflict and potential conflict received the second rate equipment and were accorded lower priority. Malaysia, Indo China and China were largely abandoned to their fate. Japanese expansion was rapid and the Anglo American priority became containment and then a steady island-hopping campaign dominated by US Forces. Once Germany was defeated, all resources could be turned against Japan and preparations could be made for the political realities that would follow the Second World War. The result is that controversy has surrounded the events in Asia. There have been few accounts of what happened, few insights into the political thinking and the military management. Some will argue that the Japanese threat was not taken seriously enough. Others will argue that Britain should have withdrawn assets before a Japanese attack to avoid some of the unproductive losses. It was a complex situation for Churchill and his Government. Britain had to survive to stand any hope of defeating all its enemies and liberating lost territory. In 1940 it all came very close to British defeat in Europe. Military logic demanded that the British Isles be kept free of occupation, that the sea routes to the rest of the world be kept open to British ships, and that the Germans be prevented from joining up with the Japanese in India. At the same time, pride and morality demanded some attempt to protect the wider Empire with inadequate recourses. A collection of major articles and lectures of Sir Michael Howard are brought together into a master class for the historical transition from the Eighteenth Century into the Twenty First Century. This is a fascinating and elegant insight by one of Britain’s finest historians. 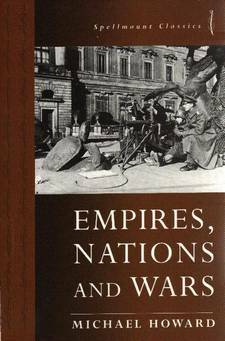 It outlines the evolution of empires, the nationalist pressures in Europe and the sequence of German wars that shaped the second half of the Twentieth Century and created the relative stability of the armed neutrality that was established on the 1940s. The collection of papers covers events but it more importantly attempts to place them in perspective as a developing story and as a period of transition. There is balance between event, structure, ideology, politics, race, social change, and literature. As each paper supports itself, the reader is not forced to follow the framework established by the book. Each paper could be read together with other work at a pace to suit to the reader. For those who prefer to start at the beginning and work through to the end, the papers assemble seamlessly and give every appearance of having been produced as a review of international relations through a span of two hundred years, with the major concentration on the period from the late Nineteenth Century to 1918. The author has written a remarkable autobiographical novel that was originally published first in 1966. 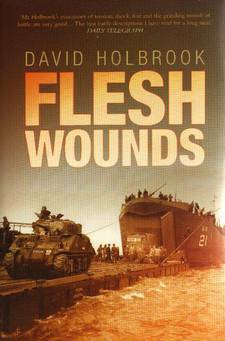 Writing seventeen years after the events on which this book is based, Holbrook found it an intense experience. With this type of book it is impossible to know how much is fiction and how much is fact but the battle descriptions have a life and depth that comes only from personal experience. It is impossible to know exactly why an author chooses to fictionalise a life experience. 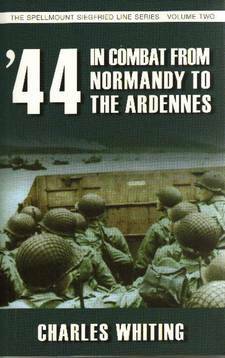 The author ranges from 1942 to 1945, but the core of the story is the intense experiences of the Normandy landings and the fight to establish a toe hold in mainland Europe. This book is a classic Spellmount title. It covers a story that has received little past attention but is a fascinating end note to the Napoleonic dynasty. It is a tale full of paradox and the author has told it well. Illustration is economic but includes a very interesting selection of bandw photographs in a plate section. The Napoleonic dynasty seemed to have been restored with a promise of new French Glory when Louis Napoleon, Napoleon III, came to power. The promise was to be largely unfulfilled with the disastrous adventure in Mexico ending in failure, fumbled attempts to create a new Empire and colonies, and with France itself being humbled during the Franco Prussian War. Emperor Napoleon III was forced to seek refuge in England. Befriended by Queen Victoria he and his family were to live the comfortable and frustrating life of a First Family out of power and exiled from their homeland. The Prince Imperial was to grow to manhood in that exile in the shadow of the Great Napoleon, craving military adventure and fulfilment. He was allowed to train in Britain as an officer but never likely to be allowed to serve in the British Army as a foreign Prince and Bonaparte. 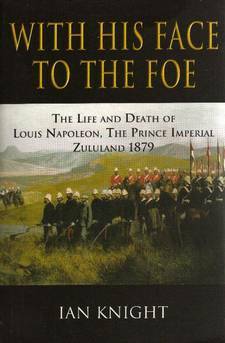 He was however allowed to join the British Army in South Africa for the Anglo-Zulu War. This has parallels with recent British history and current events in relation to Britain’s own Princes and the Royal Family. By tradition, the Royal Family has favoured service in the Royal Navy. This is not without risk, but the is a greatly reduced risk of capture and humiliation. Edward VIII, as Prince of Wales created difficulties when he wished to go to France during the 1914-18 War as a soldier. His wishes were accommodated but it was a constant pressure for the Commanders in the field to allow him some form of active service without allowing him to be exposed in the Front Line. During the Falklands War Prince Andrew as a serving RN Officer was allowed to join the expedition to liberate the Falklands from the Argentine invaders. He was exposed to severe risk as a helicopter pilot, one task being to decoy incoming missiles, but with almost no risk of being captured as an Argentine trophy. In 2007 as this book has been released, British Princes again present controversy. As a future King, Prince William has had to accept that his military service will not include active service with his contemporaries, but Prince Harry presents the same dilemma as that presented by Edward VIII, as Prince of Wales and The Prince Imperial Louis Bonaparte. Prince Harry has demonstrated a wish to make a career in the Army and to serve with his troops in the form of war that is a throw back to Empire and similar in several respects to the Anglo-Zulu Wars of the Nineteenth Century. 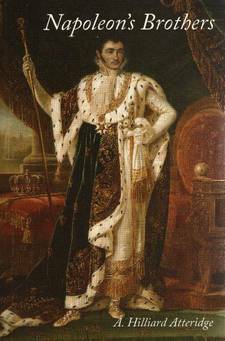 The tale of the Prince Imperial is a cautionary tale for a modern British Prince. This is the second volume in the Spellmount Siegrfried Line Series. The author traces the Allies’ progress from the landings on the Normandy Beaches through to the Battle of the Bulge when the Germans made a final attempt at serious counter attack and came close to achieving their objectives. This is a carefully researched book by a prolific writer on military history and it is an authoritative account of the closing stages of the Second World War in Europe but it is also an involving account that conveys the realities of life for those who fought in these battles. There are the usual campaign maps illustrating the text, and there is a very good selection of bandw photographs in a bandw plate section.